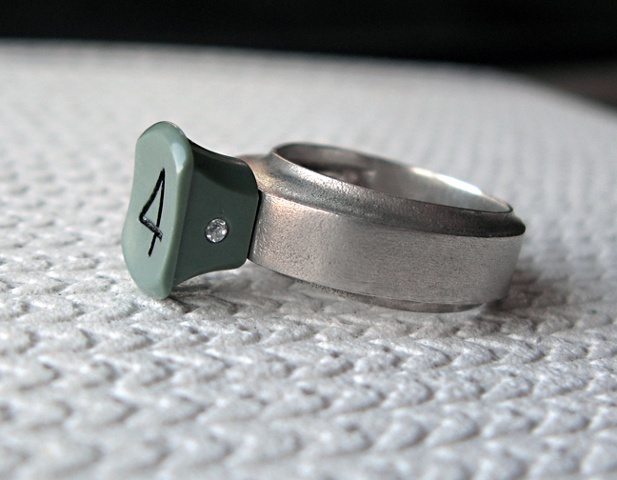 Perfectly faded, mint-green, 1920's vintage button set in a custom designed, sterling silver band. Each button has 2 cz added to each side. Super Stunner.